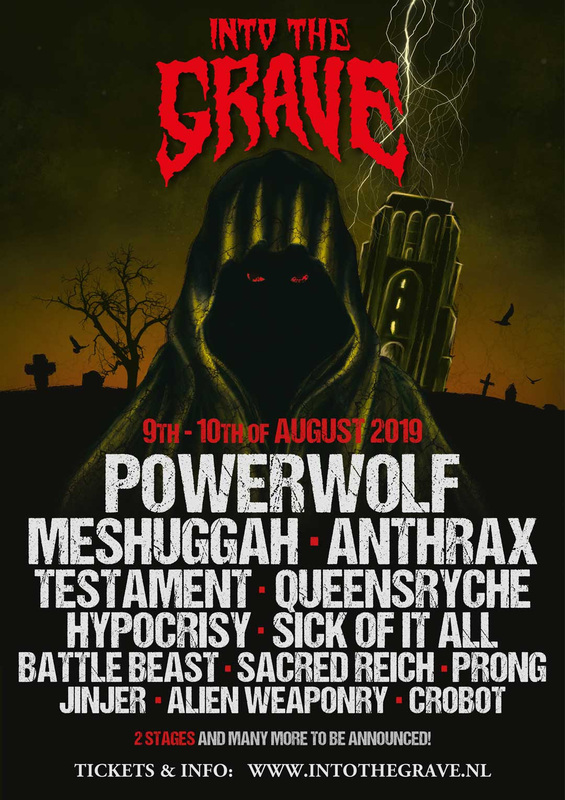 Into The Grave Festival has revealed the first names for its 2019 edition. Taking place in Leuwaarden, NL on 9-10 August, it has one of the most solid lineups for this coming festival season. 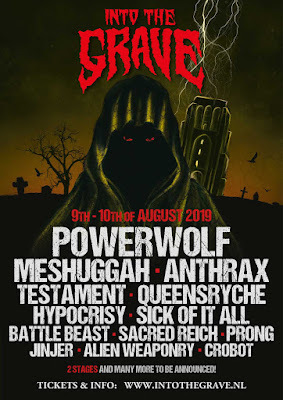 The headlining acts include Powerwolf, Meshuggah, Anthrax and Testament, while the billing also features the likes of Queensryche, Hypocrisy, Sick Of It All, Battle Beast, Sacred Reich, Prong, Jinjer, Alien Weaponry and Crobot. According to the press release, a third day may be added but the decision will be finalized on December. In case of an expansion, combi tickets purchased for the main event will still be valid. For info and tickets, visit www.intothegrave.nl.